David Mamet is the award-winning author of numerous plays including Oleanna, Glengarry Glen Ross, American Buffalo, and Speed-The-Plow, screenplays for such films as The Verdict, The Untouchables, and Wag The Dog, and the novels The Village, The Old Religion and Wilson. 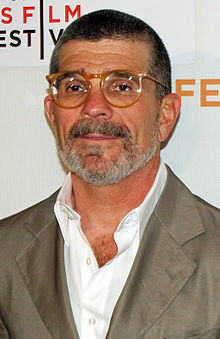 The following is a personality profile of David Mamet based on his work. He is intermittent, he has a hard time sticking with difficult tasks for a long period of time. He is carefree as well: he does what he wants, disregarding rules and obligations. But, David Mamet is also proud: he holds himself in high regard, satisfied with who he is. More than most people, his choices are driven by a desire for discovery. He is also relatively unconcerned with tradition: he cares more about making his own path than following what others have done. Considers helping others to guide a large part of what he does: he thinks it is important to take care of the people around him. Quite possibly, Mamet?s greatest work to date. It is at least the equal of Glengarry Glen Ross, Edmond, and American Buffalo, if not better.